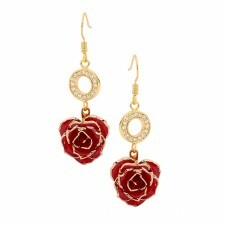 Natural red miniature rose petals and certified 24 karat gold are combined to create these stylish earrings. 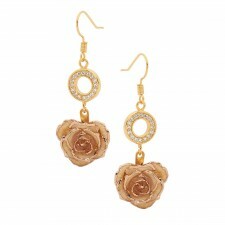 Natural white miniature rose petals and certified 24 karat gold are combined to create these stylish earrings. Natural blue miniature rose petals and certified 24 karat gold are combined to create these stylish earrings.